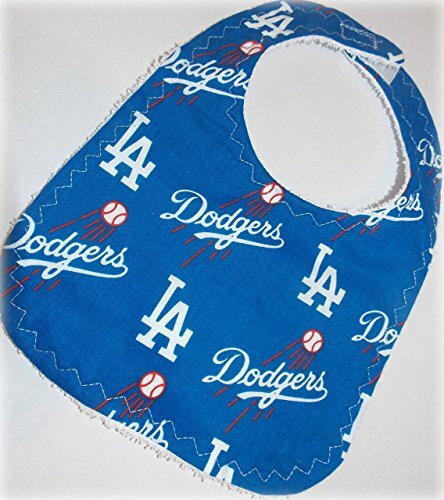 Handmade baby bib with licensed Las Angeles Dodgers fabric on one side and thick terry cloth on the other side. The bib has a hook and loop closing and will fit most babies 3-18 months. View More In Nursing & Feeding. If you have any questions about this product by KA's baby Boutique, contact us by completing and submitting the form below. If you are looking for a specif part number, please include it with your message.